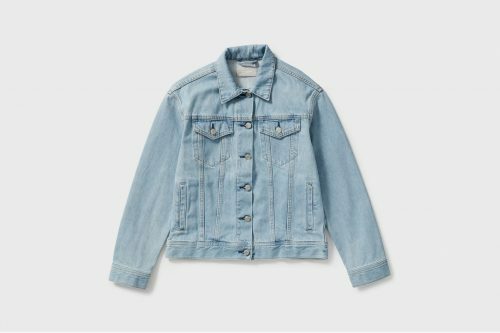 In time for Spring, Everlane has debuted its first-ever denim jacket! The new outerwear design arrives in three color ways constructed from premium, Japanese denim: “Classic Blue Wash,” “Light Blue Wash” and “Bone.” Detailing on the modern jacket includes a relaxed fit, four front pockets and silver buttons. 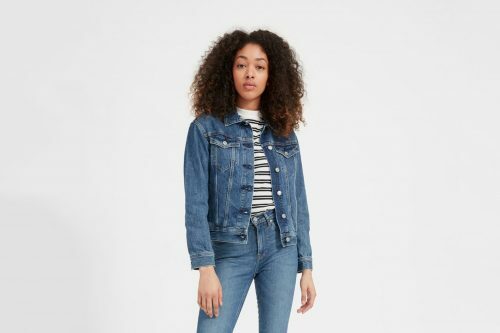 Up your denim game by pairing the jacket with Everlane’s popular jeans selection! Check out the full denim shop here. Everlane doesn’t ship to Singapore, but we have got you covered with our low shipping cost at only $3/lb, sign up now!